Would You Enter North Korea? 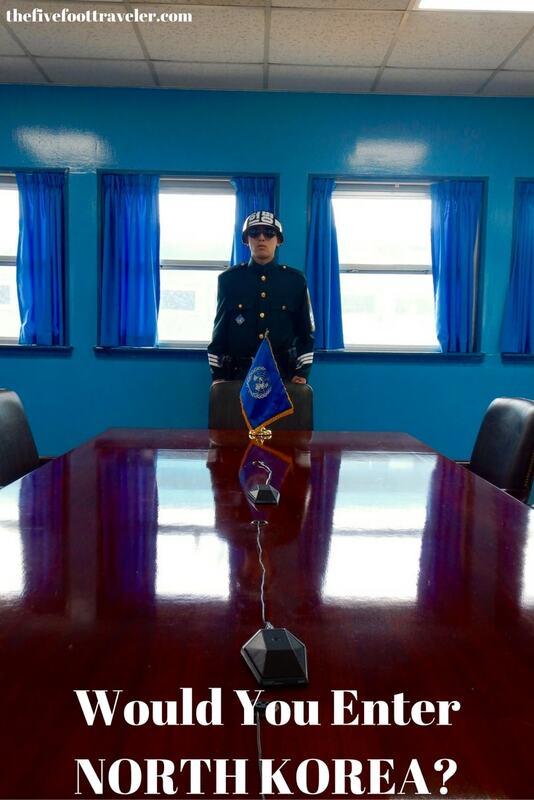 Most foreigners don’t realize that there is a difference between the DMZ and the JSA, or that there is even a JSA to begin with, prior to arriving in Korea. We surely didn’t! 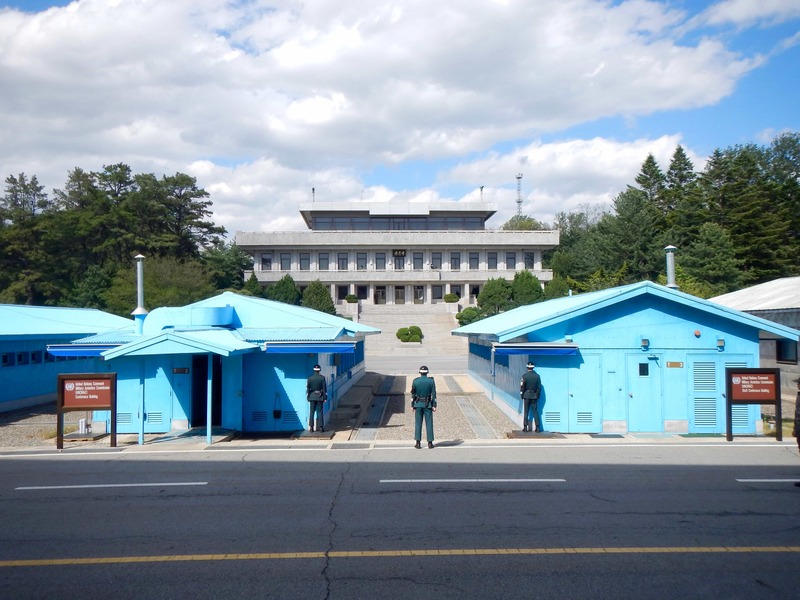 In the news, you hear far more about Korea’s demilitarized zone than you do of their joint security area when, in fact, the joint security area is an open area of high security between North Korea and South Korea — there are no barriers, no blockades, nothing. After a fantastic DMZ tour a few days prior with VVIP Travel, we decided to join their JSA tour as well. If you only have time to do one of the two tours, I think that the JSA tour is more important. After the United States dropped the atomic bomb on Hiroshima, Japan on August 6, 1945, and another on Nagasaki three days later, the USSR declared war against Japan; they began advancing toward the Korean Peninsula. The USSR never made it to Japan, however, because the country surrendered following the atomic bombs on August 15, 1945. 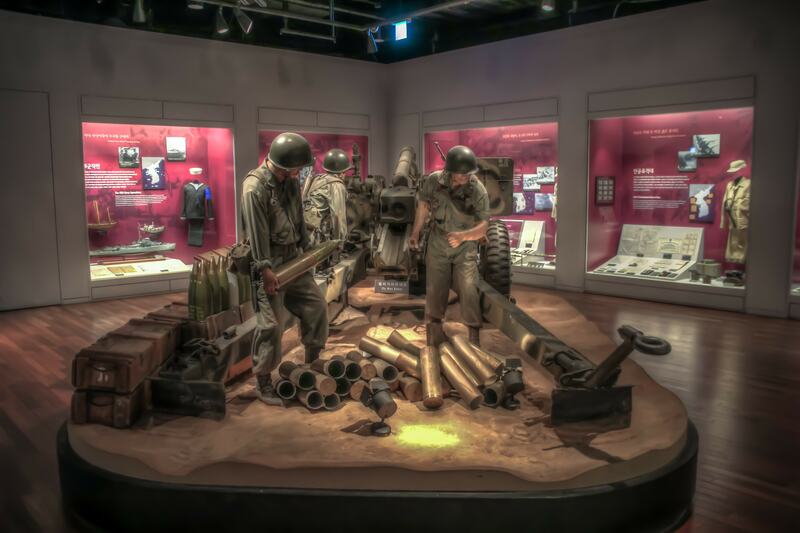 When Japan surrendered from WWII, South Korea was liberated from the Japanese occupation. On August 15, 1945, following Japan’s surrender, the United States moved into Korea to prevent the USSR troops from occupying the whole peninsula; they proposed the 38th parallel as a demarcation line. So, in reality, Korea was not technically free following the Japanese occupation; the country was divided by the 38th parallel with troops from the United States occupying the south, and troops from the USSR occupying the north. After a short time, this 38th parallel military demarcation line became an area of confrontation between democracy and communism. To “unite” Korea under communist rule, Kim Il-sung prepared for war with the support of the Soviet Union and China. 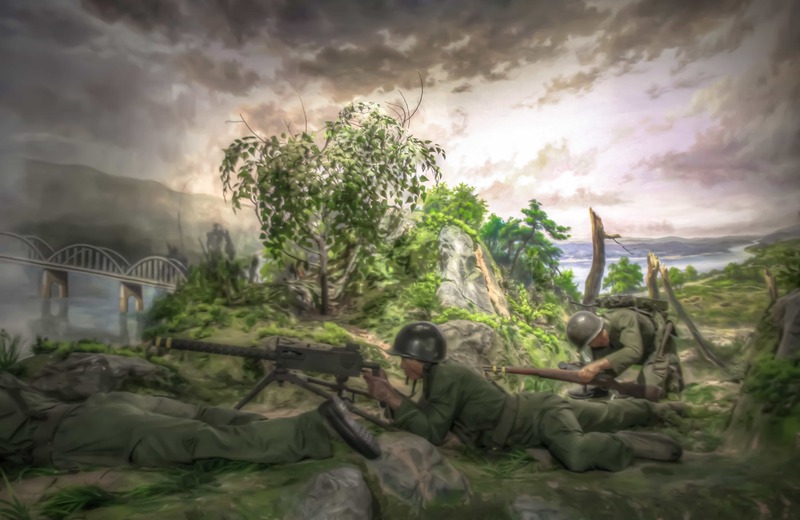 On June 25, 1950, North Korean forces invaded South Korea by crossing the 38th parallel and, despite their best effort, Seoul was captured within three days. 5FT Fact: It is important to note that South Korea was completely depleted of its resources due to the Japanese occupation; many of their soldiers and laborers were brought over to Japan. After many battles, North Korea retreated, slaughtering thousands of innocent people and taking with them about 100,000 South Koreans back to the North. On July 27, 1953, the war came to an end with the ceasefire agreement. As a result of the war, 1.5 million people were killed or injured, 200,000 were missing, and 100,000 were kidnapped and brought to North Korea. After educating ourselves at the War Memorial Museum, taking some photos with eager school kids, and hopping back on the bus, we were on our way to Imjingak Park for a traditional Korean lunch included with the tour. 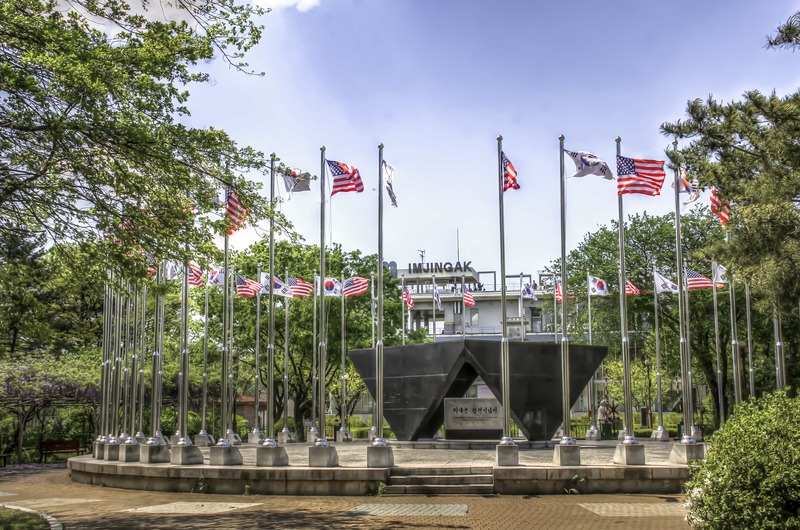 While we had already been to Imjingak Park on our DMZ tour, I was happy to be returning; the 20 minutes allotted to explore the park the first time around just wasn’t long enough. This time, with an hour, we had the ability to take in more of the memorials and sites as it was no longer rushed. 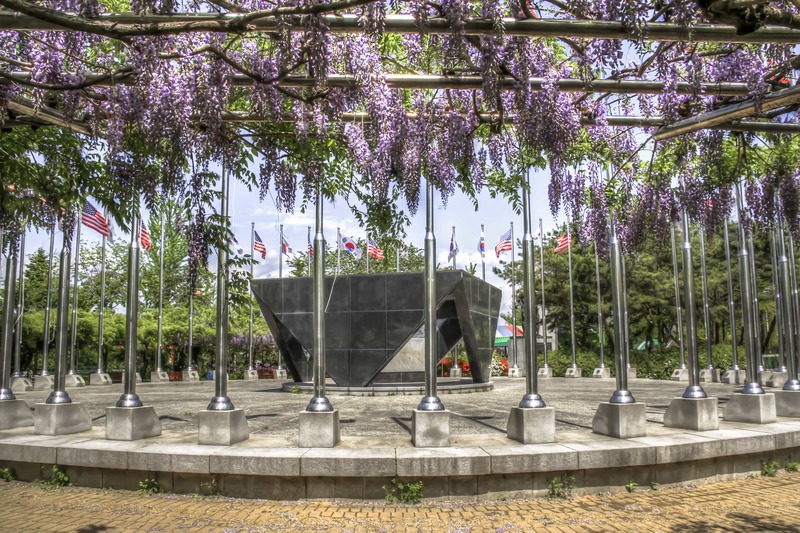 My favorite memorial was the Monument Dedicated to US Forces in the Korean War, which was surrounded by beautiful wisteria trestles. From Imjingak Park, it was time to go through one of our two ID checkpoints. The first ID checkpoint takes place upon entering the DMZ, and is the same procedure as that of our DMZ tour. The second ID checkpoint, however, takes place upon entering the JSA; a higher-level soldier came on the bus, took down our passport numbers, and evaluated our clothing to make sure it was appropriate. To enter the JSA, you cannot wear sleeveless shirts, spandex pants, camouflage, or flipflops. Dress conservatively and put away your cameras. There, we boarded UN military busses to continue onwards to Camp Bonitos where we were given a briefing of the history of the conflict between the two nations. We were told that the JSA tour is frequently cancelled and, in fact, that the tour typically only runs about 10 days per month. 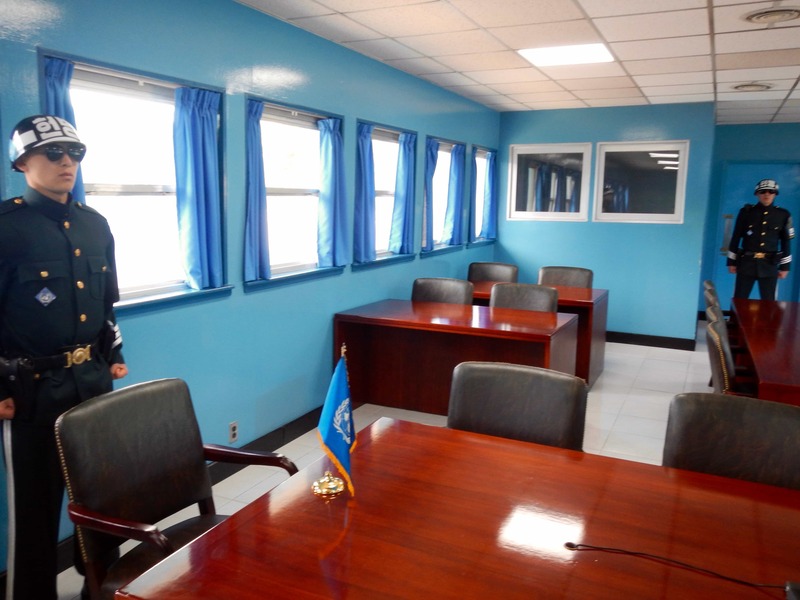 During this briefing, we had to sign a waiver noting that “the visit to the Joint Security Area at Panmunjom will entail entry into a hostile area and possibility of injury or death as a direct result of enemy action.” Comforting. From there on out, we had to remain in two lines at all times, and refrain from all gestures such as waving and pointing. Our first stop was the Freedom House, which was built with the intentions of reuniting families that were split during the war. The building has not, however, been used for these purposes. Then, before we knew it, we stepped out the door of the Freedom House and were facing Panmun-guk, North Korea’s propaganda palace. 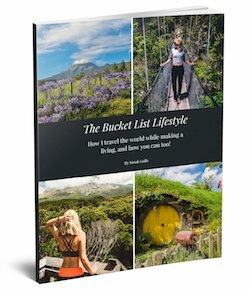 I was hit with a big “WOW” as I was standing in front of a sight whose image had been in my head for years. Panmun-guk. T1 through T3 meeting rooms. The concrete slab across the road indicating the border line. It was all there. 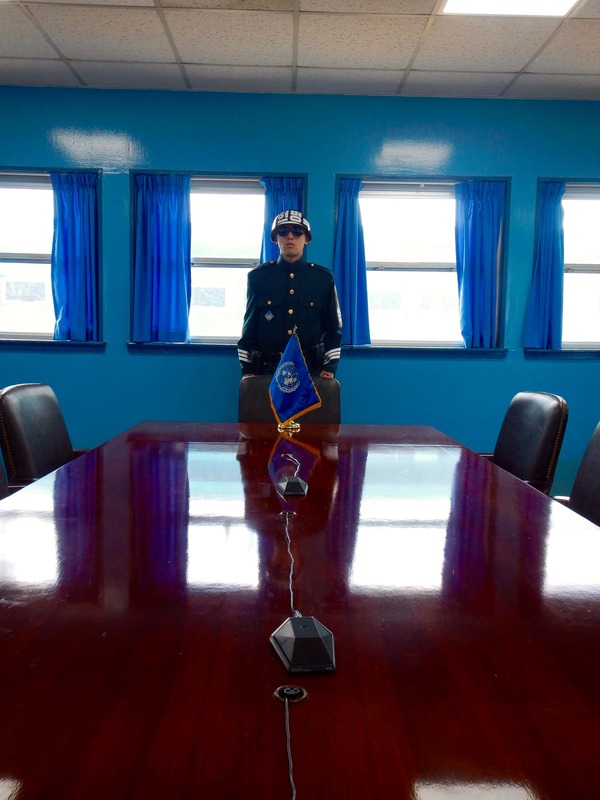 We continued into the conference room in which the border falls directly in the middle; the microphones on the table are directly in line with the border. In the room stands two armed soldiers with intense expressions. 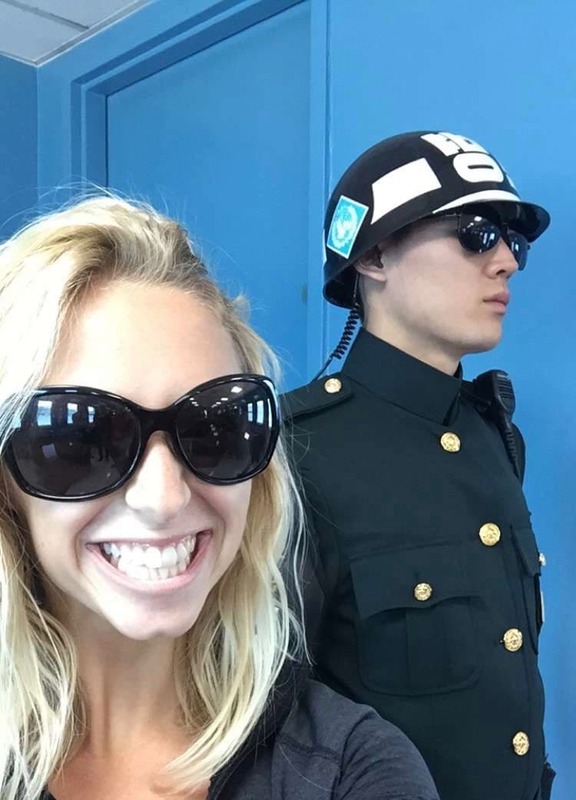 The South Korean soldiers always wear black sunglasses to avoid eye contact with North Korean soldiers. On the count of three, our guide told us that we could take photographs, so the whole room turned into one big scramble for a photo. It was one of the most chaotic picture-taking scenes I have ever witnessed. You are allowed to take photos with the soldiers; you cannot, however, get too close to them, touch them, or stand in front of them. 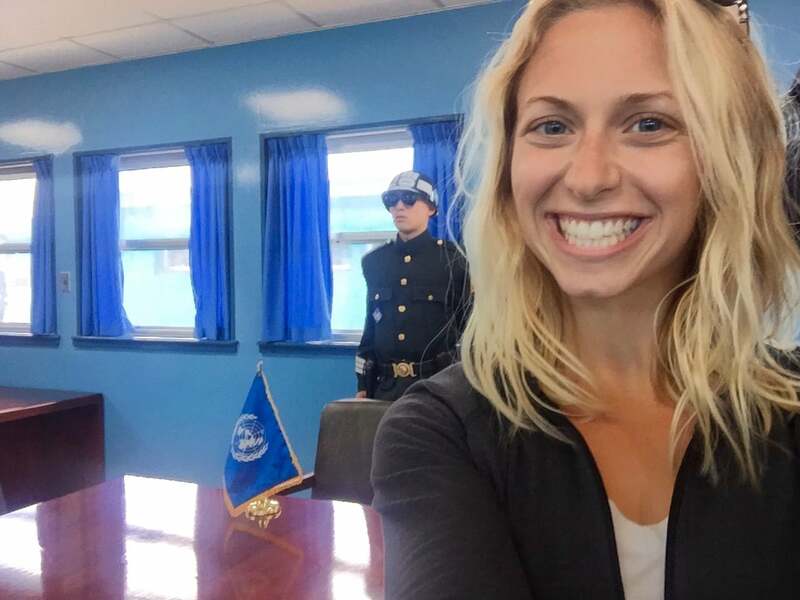 Naturally, I had to take a selfie with our matching glasses across the border in North Korea. When they say stop, stop. If you keep taking photos, you will get yelled at by men with guns. Remember, you are in North Korea, as indicated by the border below. After leaving the conference room, we got to stand between T1-T3 facing Panmun-guk. We looked directly into North Korea with no barricades nor barbed wire. 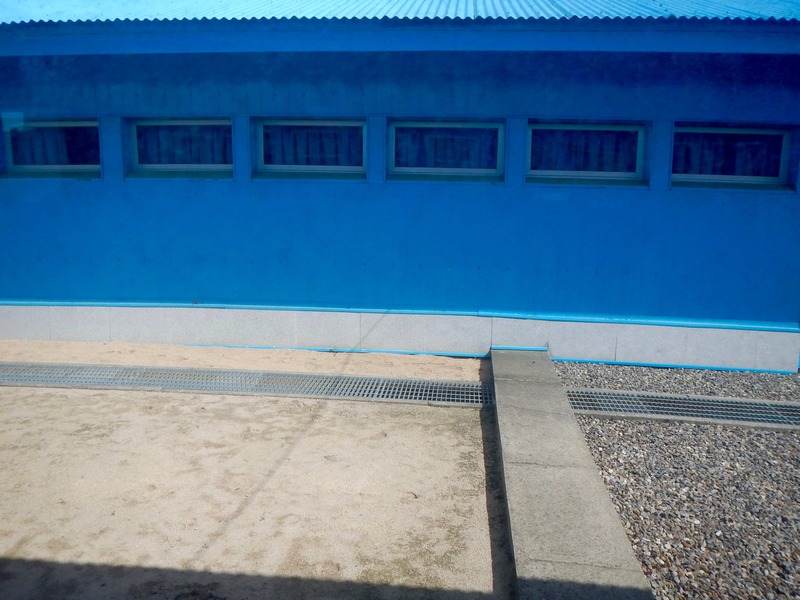 We saw two South Korean soldiers on each side of the blue conference buildings standing face-to-face with the North Korean soldiers — they were standing in Tae Kwon Do stance with half of their bodies behind the building and half of their bodies in front of the building should any confrontations occur. It is said that North Korea takes everyone’s photograph that visits this area, and their curtains are always closed. Again, there is a time limit to your photo-taking as well as strict regulations — you cannot squat to take a photo, cannot leave the 2×2 line, cannot step down one of the stairs, cannot photograph any of the buildings to the far left or far right. You could only photograph straight ahead into North Korea. As light-hearted as it all sounds on paper, it is important to remember that the JSA is considered an active war zone. Facing Panmun-guk and within the meeting rooms were the only places within the JSA where we were allowed to take photographs. Put away your cameras. Originally, both North Korea and South Korea could roam the JSA freely, but after the Axe Murder Incident of 1976, when Major Bonifas and Captain Barrett were gruesomely killed by the North Korean soldiers, the Military Demarcation Line symbolized a concrete split (literally, as seen above) between the two armies. On the tour, we stopped to see the site of this tragic incident. Our final stop within the JSA was the Bridge of No Return. After the war, some prisoners of war were lucky enough to be given the chance to cross over the bridge to their home country, or to remain in North Korea. The exchange of prisoners began in April of 1953. 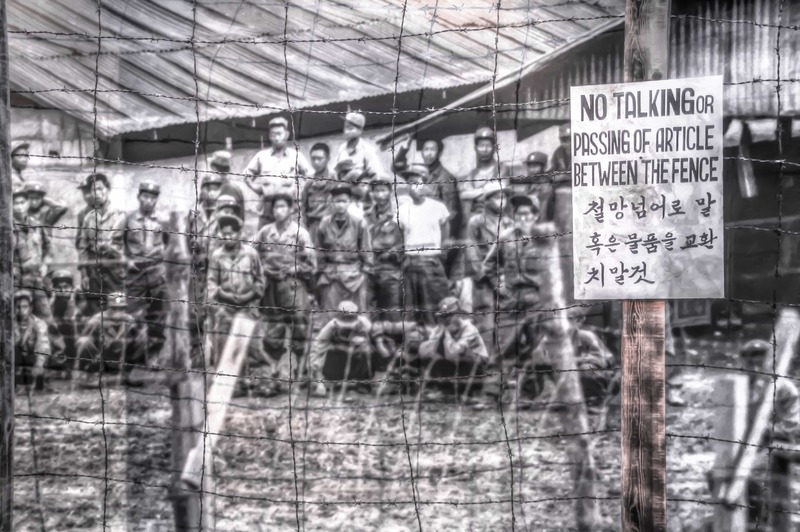 Once the choice was made — to go home or to stay within North Korea — there was no turning back, hence the name “Bridge of No Return.” 13,444 UNC (the United Nations Command consisting of the multinational armies supporting South Korea) prisoners returned to their home countries, while 89,493 North Korean and Chinese prisoners returned to theirs. 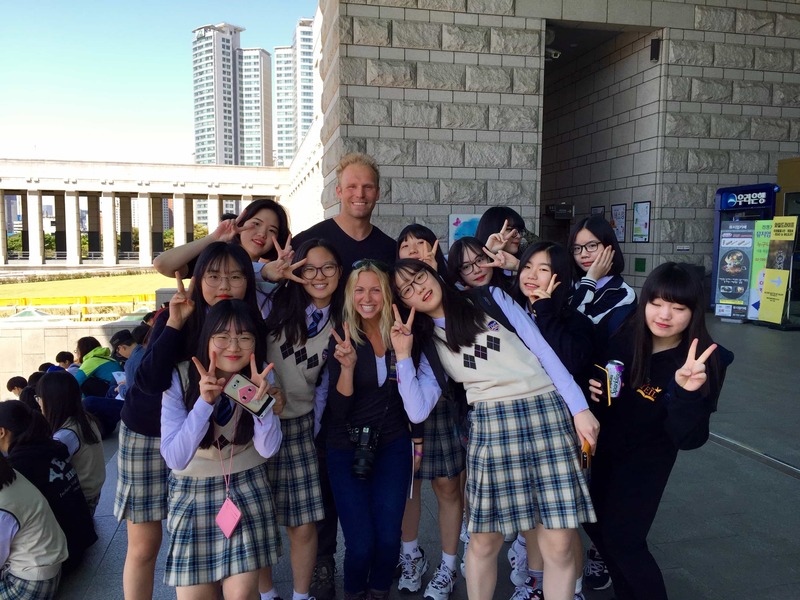 The JSA tour provided exceptional insight into the conflict between North and South Korea. Being there, looking into North Korea, you could feel the tension in the area. It is no wonder why some call it the tensest place in the world! Granted, it is the most heavily armed borderline in the world, so it only makes sense. Despite knowing this, it’s easy to get caught up in the moment and forget that you’re in a war zone. VVIP Travel made us feel that safe, but obvious precautions are necessary. I do urge anyone visiting Korea to join the JSA tour in order to truly understand what the country has been going through for over sixty years. The wish for unification remains strong for South Koreans, and I hope that they will find the peace that they are seeking within one Korea. Want To Step Foot In North Korea? Pin It Please! **Special thanks to VVIP Travel for sponsoring our experience. As always, all opinions are my own.